Business in an area where cable or DSL is not available? That is no problem, Bertram Wireless can serve in areas where cable and DSL cannot! 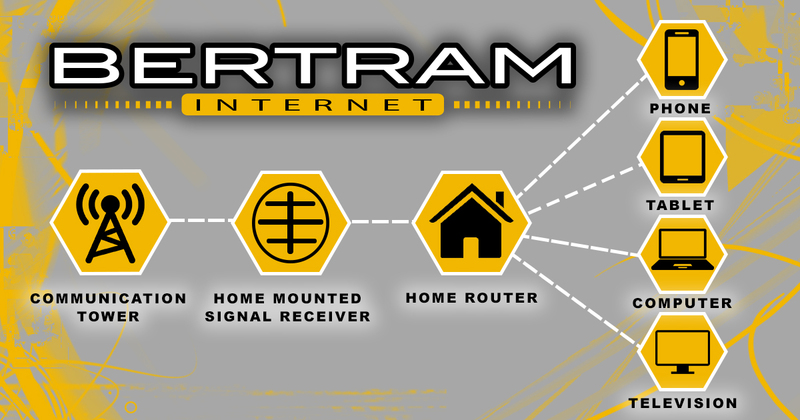 Bertram Internet is able to bring your business the world like never before! With our State of the Art Network , and speeds up to 25 Mbps, we can provide a fast and reliable connection that will help your business excel. At our Random Lake WI headquarters,our customer service representatives provide you with friendly, and knowledgeable technical support. For more information, or to check availability at your location, please use the “Contact us” button. Please provide your name, contact number and address (for checking line of sight to the tower).